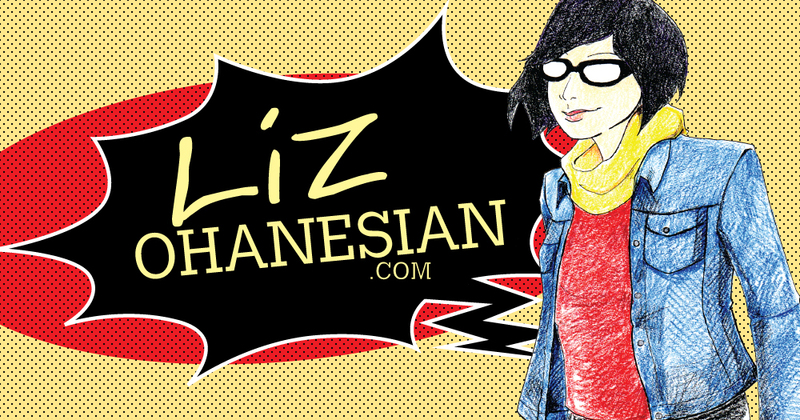 Posted on November 6, 2015 by Liz O.
I had five DJ gigs in the past month. It’s probably been a decade since I played that much in a four-week span. Every gig was a blast, but the Halloween weekend ones were something special. On the night before the big, spooky holiday, I played my first ever gig in San Bernardino. I still can’t fully comprehend the strangeness of the night. There were bonfires and one of the bands on the bill, Rebel Rebel, had appeared on The Hot Seat with Wally George years ago. That last bit of information likely means nothing to folks who didn’t grow up in Southern California in the late ’80s and early ’90s. If, however, you do recall the KDOC show where shock rock met conservative punditry, you will totally understand why that was so weird. The following night, I played LADEAD’s Hex Halloween event. It was my first time playing for this promotion team, so I didn’t know what to expect. It was an absolute blast. As soon as the doors opened for the room where I played, the floor filled up with dancers. Next month, I have two gigs schedule. The first is 90’s Goth Klub, a monthly party at The Lash where I regularly play. That’s on November 15. On November 20, I’ll be at the Grand Star for a new party presented by my pal Grimm Beatz and myself. It’s called Starhaus and it’s a “disco-goth glitter extravaganza.” In other words, I get to play Siouxsie and the Banshees, Sylvester and David Bowie in the same set. That pleases me. Hopefully, it will please you too. Our special guests are two of my favorite local artists, Ghost Noise and ParallaxScroll. As for writing, I have a few things out now that you won’t be able to read online. My friend Ejen Chuang recently released the follow-up to his successful photo book Cosplay in America. For the second volume, he goes deeper into the costuming world, documenting the prep work and giving a behind-the-scenes look at conventions. Plus, there’s an essay penned by yours truly. Ejen has been bringing the book to various conventions, so you might be able to pick up a copy in an artist alley somewhere, like at DesignerCon in Pasadena on November 21 and 22. You can also order Cosplay in America Vol. 2 online. I also have two stories in the current issue of Hi-Fructose. I had the chance to interview Ryan Salge, an up-and-coming artist who is doing gorgeous work. I also interview legendary L.A. muralist Kent Twitchell. His work– like the L.A. Chamber Orchestra mural that overlooks a stretch of freeway downtown– is truly a part of the city and something that makes me pretty darn proud to be an Angeleno. Having the chance to talk to him extensively about his career was an honor and I hope you’ll read the story. 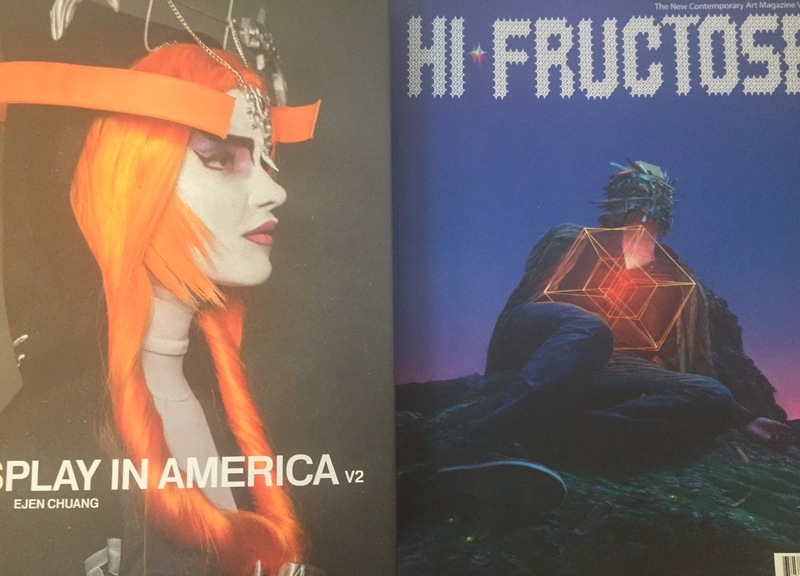 You can order Hi-Fructose through the magazine’s website. I do have one new story that’s online. The current, monthly issue of Paste Magazine is focused on the future and I wrote specifically about how virtual reality may change the way we experience television. I’ve been reporting on VR here and there for the past year or so and it’s a subject that truly fascinates me, so I was very happy to be able to write this. I’ll be back next week with new stories to share. Thanks for reading!